Since my last post I was involved to create two quilts for Christmas. Working on them was a real challenge for me. 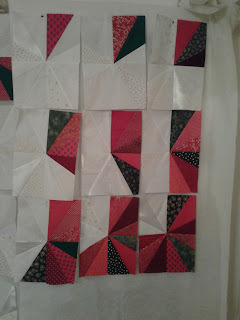 24 blocks as the days before Christmas, 12 clock faces as the hours of the day, 12 clock faces as the hours of the night. Each hour is so different. After making the design I began follow the idea. 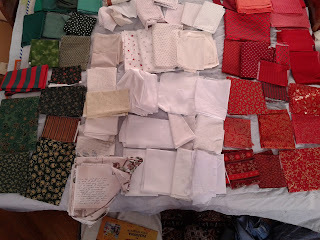 Collected all white, green, red fabrics I have in my stash. Then added the gold printed ones. I ordered them on the bed - almost 140. There are satin, taffeta, velvet, cotton fabrics. First I began to make each block paper foundation. 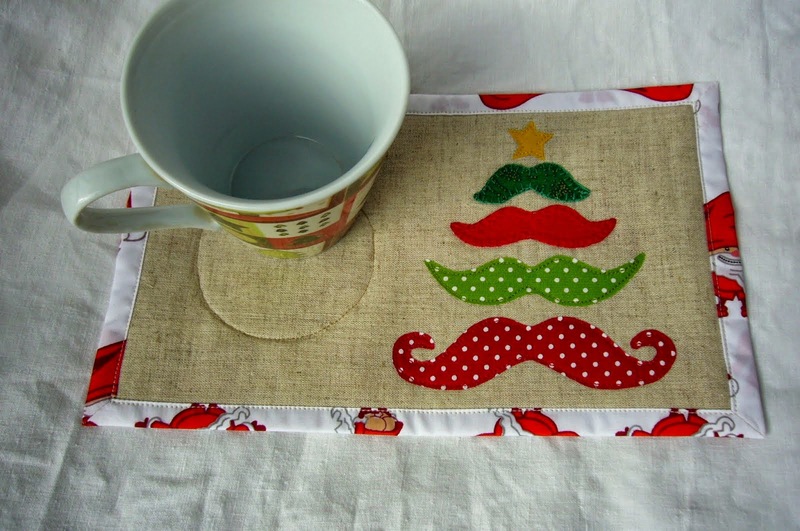 After sewing the second one I remembered about freezer paper. It was a perfect idea. - the work began going much easier. 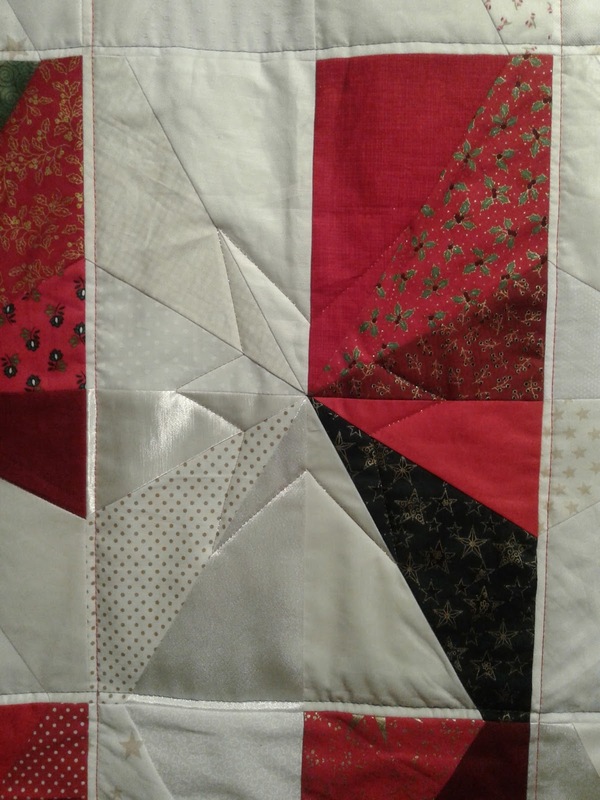 Then I have made the second quilt. 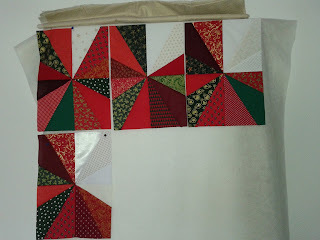 After sewing all the blocks I collected them and began thinking of quilting. It has to be light and air. I found a golden thread - perfect addition to the project. The half of the blocks are with such star, the rest with different. Final balance 22 white fabrics, 28 red and green, 2 golden - for the bindings.